Superb lodging with fine dining in arm's reach could be reason enough for choosing a travel destination, but what about bookending a dozen art and culture experiences with that lodging? 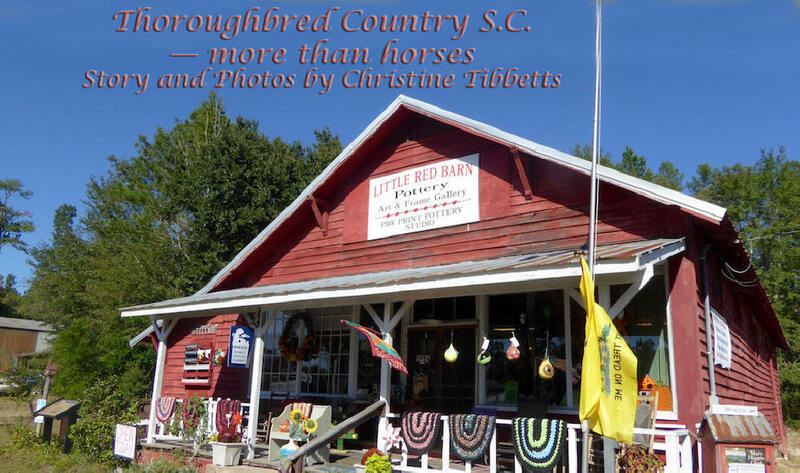 I can tell you how in a four-county region South Carolina likes to call Thoroughbred Country. Call this road tripping with intention. Aiken and North Augusta are the cities with lodging spots framing the little communities where I found a multitude of treasures. Like some help drilling down to the authentic encounters to enjoy? Be sure to allow two separate chunks of time to absorb the diverse details in the excellent Aiken County Historical Museum and the South Carolina state historic site known as Redcliffe Plantation. 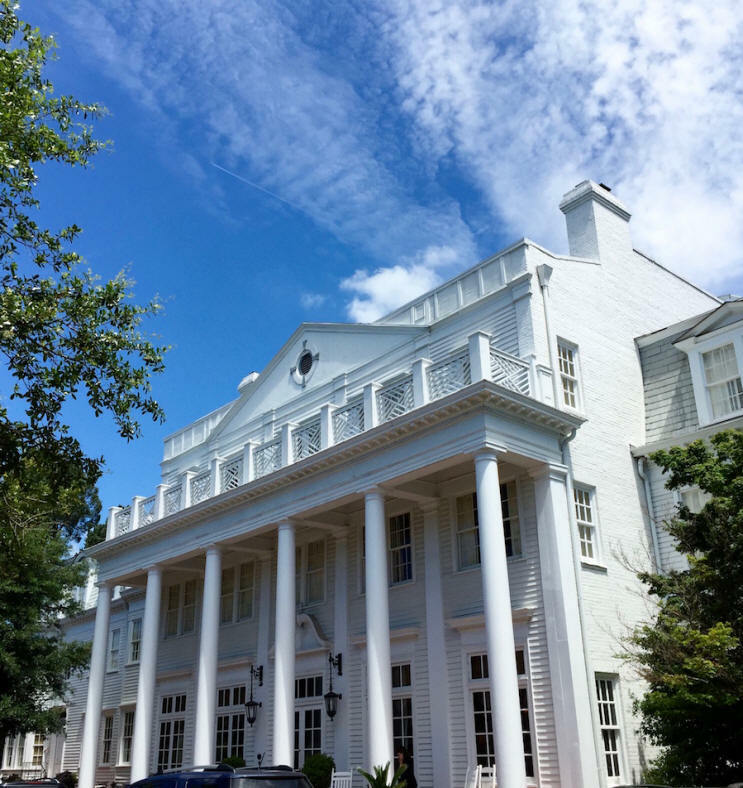 The Willcox Hotel in Aiken and Rosemary Inn in North Augusta present resting and dining options, each with historic details. I tried both. Don't just turn in, even with handsome four-poster beds and abundant antiques; allow time in the Inn and the Hotel to poke around since every nook and cranny is interesting, with art and furnishings inviting investigation and lingering. the place to anchor for exploring North Augusta, S.C.
Rosemary Inn balances stately columns, sweeping verandas and Gilded Age lavish woodwork with a practical proprietor from Nebraska. Southern elegance, Midwestern hospitality and six spacious suites filled with period antiques afforded me the opportunity to immerse in the deep south while launching explorations of the highly planned modern city of North Augusta. 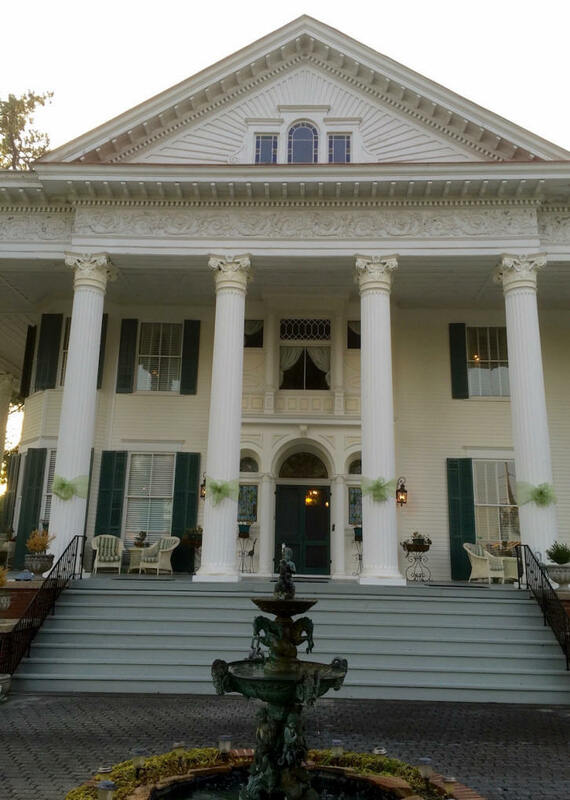 Sleeping in a mansion built in 1902, imagining myself to be at home in a neighborhood of other mansions yet just a mile from the Savannah River with options to stroll or bike paved paths – that's distinctive lodging. The Willcox feels more hotel than home, yet the lobby is a living room inviting lingering and conversation. On Thursday evenings, find jazz musicians. Don't anticipate a standard check-in counter; here just choose an armchair and settle the details across a desk. The greeter will then walk you to your room! What a gracious touch. public spaces and handsome rooms and suites. Built in 1898, The Willcox shares 15 guest rooms and seven suites, an intimate spa, and a fine dining restaurant with a chef from New Zealand. 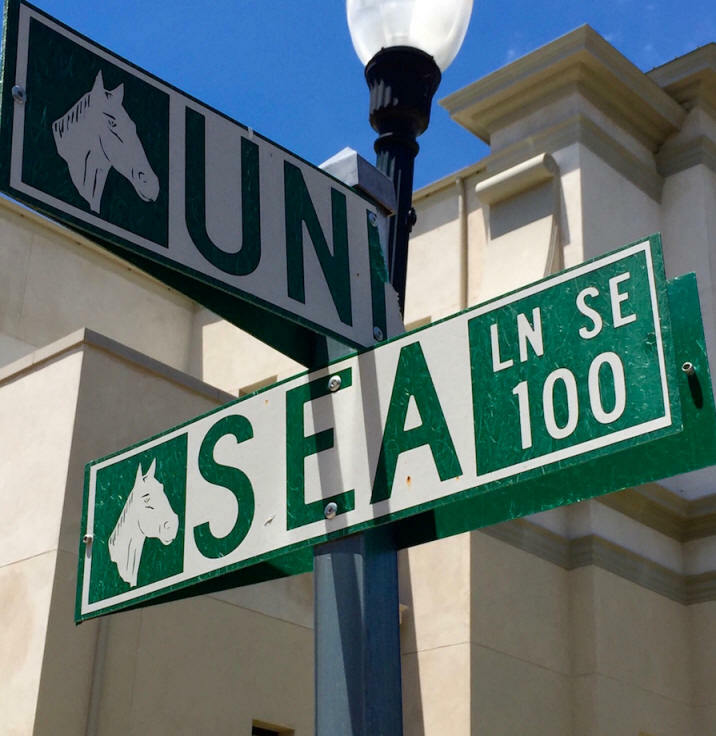 From the grand front entrance, it's just a few neighborhood blocks to downtown Aiken for the highly respected Playhouse, an art center with multiple galleries and many eateries and shops. Sustainable environmental practices abound in The Willcox, discretely. Hunt up a book in that living room lobby for more eco details than I ever see in hotels, new or historic. Wisteria Cottage isn't a bookend, rather a cozy little historic place along the meandering Thoroughbred Country route. Blackville is the community where you can book this two-bedroom, one-bath bed and breakfast. Breakfast? French toast stuffed with cream cheese and strawberries. Might want to eat on the front porch. Barnwell is the town to explore the Little Red Barn, highly visible along Highway 278 and jam-packed with pottery, fine crafts, jewelry and books. Liz Ringus is the potter, shaping clay into usable art in her gallery studio. 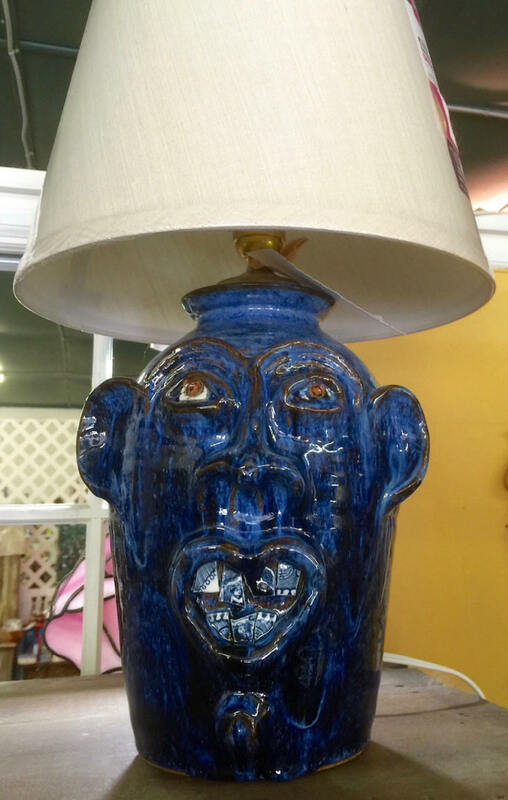 Look for her signature face jugs wired as lamps, and for swirlware formed with three kinds of clay. in the Little Red Barn in Thoroughbred Country. Look also for the creations of at least 35 other artists because Ringus is an encourager, believing in what she calls "lovingly handcrafted works." The Little Red Barn building used to be the commissary for a banana case company, part of the mill village displaced for the 310-acre Savannah River Site set aside in the 1950s for nuclear weapon materials development. Ringus created Stations of the Cross pottery plaques for the nearby Church of the Holy Apostles, displayed on the outside of this heart pine church consecrated in 1857. Might get lucky to go inside on a random visit, but since the yard is a cemetery, gravestone reading is a worthy hour of history. The Jim Harrison Gallery anchors the corner of a busy crossroads-- highways 321 and 78. His paintings sell for $6–10,000 on average in the tiny town of Denmark, and gazing at dozens of them in this gallery is uplifting. Put your head in his clouds when you go inside because they puff and swirl and draw you close. Country roads and modest buildings fill many canvases in a series he called "Disappearing America." They'll evoke memories you own. 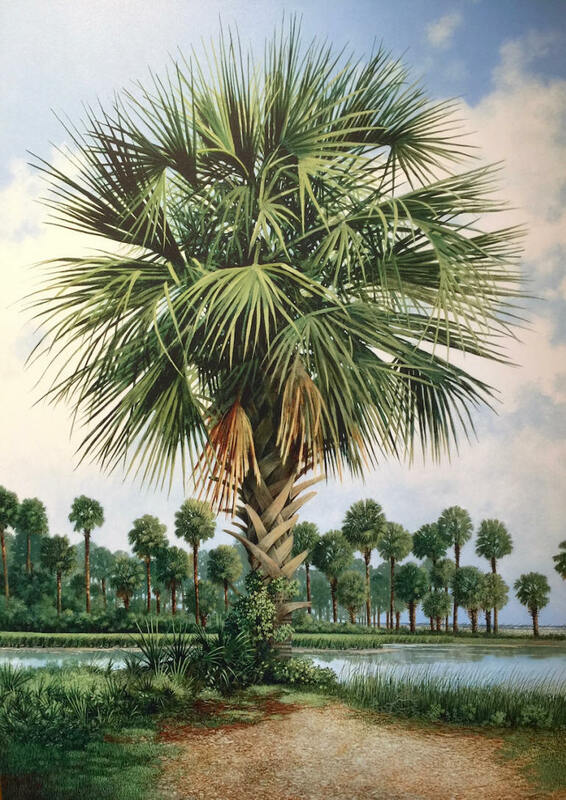 visitors to the gallery of the late Jim Harrison in Denmark, S. C.
Harrison's South Carolina coastal scenes deliver the same sense of peace I feel at the beach and he captured that serenity in multiple ways. Harrison died suddenly last summer, after making a living as an artist for more than 50 years, leaving a gap people in this region say they feel deeply. Faith journeys intrigue me, so having lunch with Mennonite members of this South Carolina region adds extra depth to the road trip. Mennonite bakeries and sandwich shops pop up in several communities; the one I tried is called Miller's Bread Basket, serving a three-course lunch in Blackville. 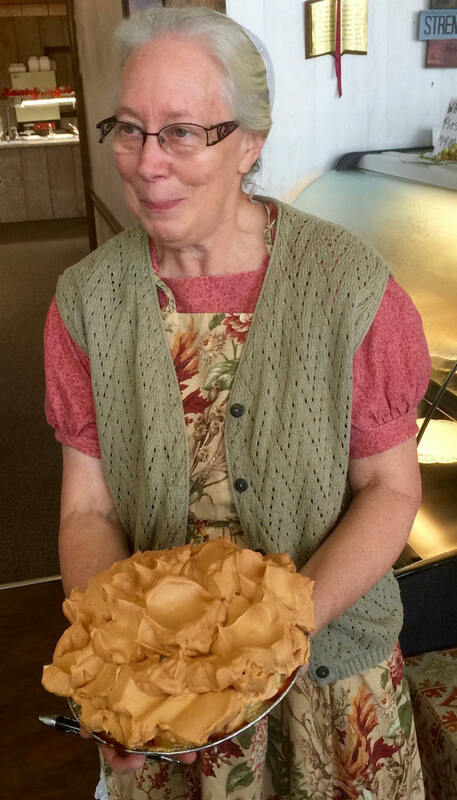 "You can tell when someone loves what she's doing," says Bread Basket manager Lill Stoltzfus, "We take pride in our pies, our breads, our cooking. "All of us come from a long line of stay-at-home moms so we learn food preparation very young, at home." Pies are works of art. grand Mennonite meals in Thoroughbred Country. · Ask her to be your step-on guide even if you only have a car, not a tour bus. She can chat about her faith traditions, and take you to see meaningful places in her community. Ask for extra and you might tour her healing herb garden. · Book a room in Wisteria Cottage—Lill's the owner and lives next door. Native Americans believed in the waters bubbling up in Blackville, and so did Revolutionary War soldiers, too injured to continue on with their comrades but revitalized weeks later able to catch up. Legend—or history—continued in 1944 when L. P. "Luke" Boylston deeded the acre of land to God for public use. 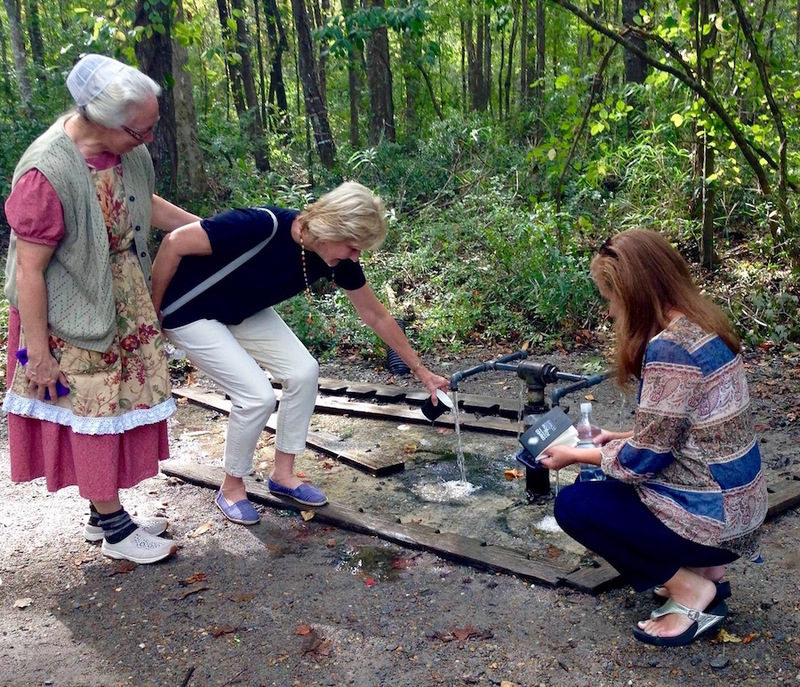 Now road trippers take jugs and start drinking from God's Acre Healing Springs. Spigots make it simple to drink deeply, especially if you have a cup. 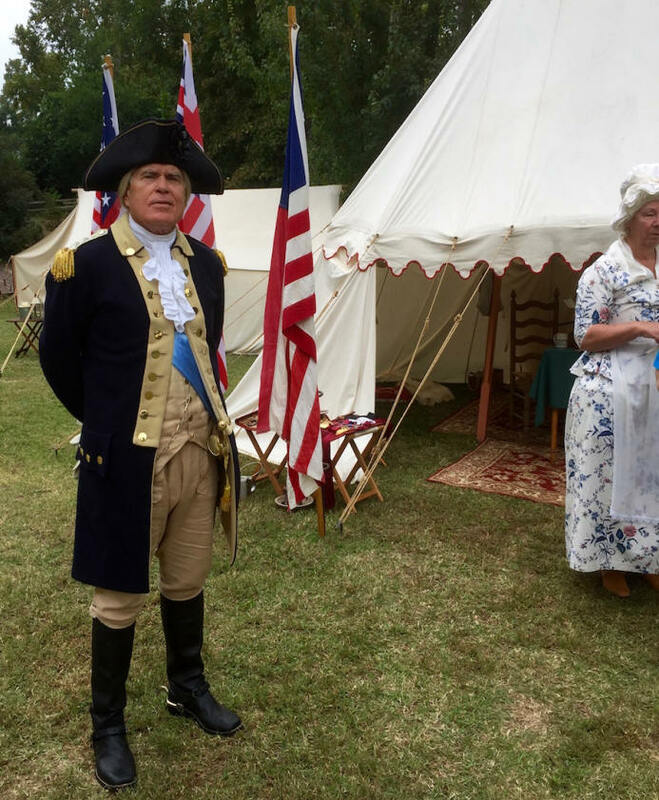 April and October are the months to mix in with pre-Revolutionary War era re-enactors at The Living History Park in North Augusta -- the third weekend only. Artisans, craftsmen, British rulers---these re-enactors come from all over the U.S. Impossible to budge these men, women and children in 1750s costumes from their characters; because they were so skilled at playing their parts, I started shifting centuries too. I'd recommend giving it the whole day, or perhaps two. My mistake was setting aside only two hours, not understanding how professional and immersive the experiences would be. Tip: You could walk to the Living History Park from the Rosemary Inn and later, eat dinner at Manuel's in downtown North Augusta. twice a year in North Augusta's Living History Park. Revolutionary style tents house many of the demonstrators but so do buildings because this Living History Park uses the greenhouse and furniture making shop, medicinal gardens and apothecary, blacksmith and barrel maker all year in assorted special events. Cheerful note: It's all free. Way more than horses is the tag line for Thoroughbred Country, enticing travelers to this stretch of South Carolina. But what if you want equestrian experiences too, especially with a blend of spectator options and participation? And on Thanksgiving morning every year—the Blessing of the Hounds with Bloody Marys and Bagels afterwards at the Aiken County Historical Museum. thoroughbred trials and ever so much more.